Contact Bob Aiello to join the IEEE working group. Scope: This standard will specify practices for groups including development, operations and other key stakeholders to collaborate and communicate effectively to build, package and deploy software and systems in a secure and reliable way. All of these activities and functions shall be integrated within the complete lifecycle. Who Should Participate: DevOps, by its very nature, impacts every member of the team so technology professionals including developers, operations engineers, QA & testing, project managers and other members of the team responsible for ensuring that applications meet their business objectives. The DevOps standard must address and incorporate existing IEEE and ISO standards related to Systems and Software engineering, Configuration Management, Verification & Validation, Information Security, Measures of Reliability and Software Testing among others. 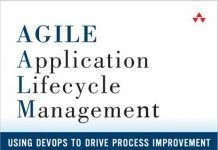 DevOps does not contradict existing industry standards, but applies new principles and practices to integrate existing processes. ISO/IEC/IEEE 29119 Software and Systems Engineering–Software TestingThis standard will describe standard DevOps practices and principles in general terms as “practices” and then include specific references for detailed tools/practices in an Annex. Next articleSo How Are Industry Standards Created?